When it comes to maintaining and/or improving your heart health, it’s the little things you do day after day that can have a big impact on your immediate and long-term health. A healthy diet and plenty of exercise are naturally the first things you think of when looking at ways to support your body’s most important muscle, but to really make your heart health initiatives as effective as possible, you need long-term solutions, not quick fixes. The American Heart Association (AHA) has long been at the forefront of heart healthy initiatives, and this year’s Life is Why We Give (TM) campaign is drawing support from people and companies – like Pilot Flying J – all across the nation. In order to help you live a healthier life in 2018, follow these seven heart-healthy tips today. 1. Be careful of what you snack on between meals. High-fat and high-sugar snacks are popular, but ultimately unhealthy. Opt for fresh instead of processed and choose fresh fruits and vegetables for your snacks between meals. 2. Don’t just drink the drink. Your beverage choices could add unnecessary fats and sugar to your diet, so choose low-sugar and no-sugar alternatives as well as low-fat milk or cream for your coffee. This way you’ll avoid drinking empty calories. 3. Avoid ordering before-the-meal extras. Cocktails, appetizers, even bread and butter are all sources of extra fat, sodium and calories. Cut them out and your calorie intake will drop – and so will your bill. 4. On the side, please. Ask for butter, cream cheese, salad dressings, sauces and gravies to be served on the side when you dine out. This allows you to better control the quantity you consume. 5. Explore your options. When ordering fish or chicken, avoid fried whenever possible. Choose boiled, baked or grilled options instead for a healthier alternative. 6. Think small. Cutting back on portion sizes is a great place to start eating healthier, so don’t be afraid to ask for a smaller serving when you dine out. If smaller portions aren’t available, ask for a to-go box when you order and place the rest of your entrée in the box to eat later. 7. Make a healthy substitution. Often a healthier choice is available for nearly any dish. For example, if you order an item that naturally comes with French fries or onion rings, ask whether you can get a side of fruit or vegetables instead. It may cost you more, but the switch is certainly worth it. 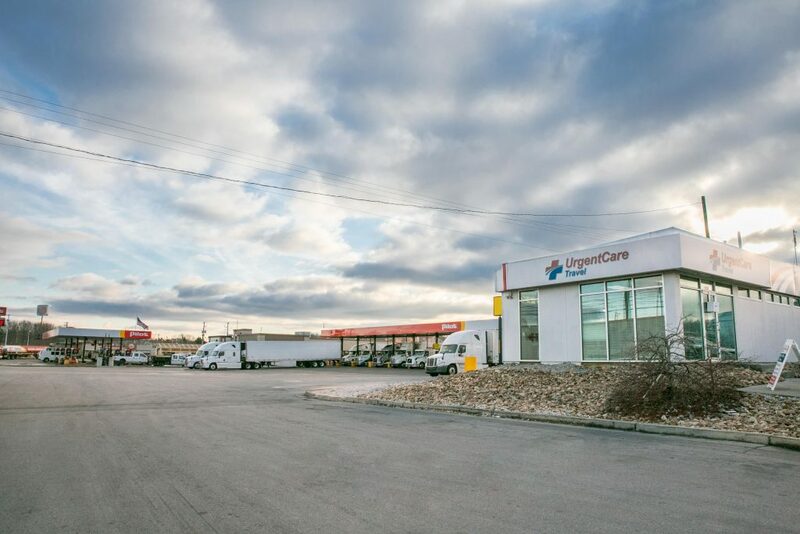 Urgent Care Travel (UCT) medical clinics available at select Pilot and Flying J Travel Centers provide a valuable resource to support your heart health. To find even more helpful tips to enjoy a healthier diet, or to receive a free blood pressure check during the month of February, stop by one of the Urgent Care Travel (UCT) medical clinics available at select Pilot and Flying J Travel Centers. You can also support the AHA through in-store initiatives at your local Pilot and Flying J Travel Center.